It is only in rare cases that one can sustain a passion for years on end without suffering a burn out or developing a desire to seek a fresh career challenge. or that passion. Every day is like their first and they go on and on. Being on the radio has almost defined what life is to MBC Radio 2FM talented broadcaster Kondwani Chisasa. His contagious passion for music, the trade and love of what he does has provided the greatest thrill of his 19-year stay at the State broadcaster. “The enjoyable moments are the times I am interacting with people. Some are funny and some are downright ridiculous but you just have to swallow it because it is not easy to deal with different people that you do not know personally,” he says. 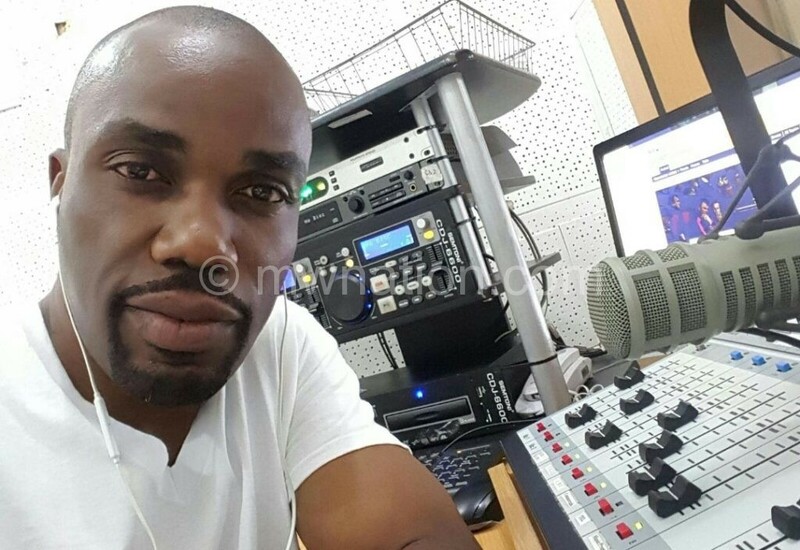 The dream to be a broadcaster almost did pass him by after he grew tired of waiting for interview results he had undergone at the broadcaster in 1998. The results only came a year later when Chisasa was looking for alternative options. He credits his journey in the industry to his late brother who encouraged him to try himself on the radio because of what he perceived as his ‘outgoing nature’. “It is very interesting because I never thought I would be a radio personality. If not for the influence of my brother. So at the time MBC Radio 2FM was being established they were looking for presenters and I decided to take my chance,” he explains. The metamorphosis he has undergone throughout his time on air is well backed by how his monikers have evolved too. From Kokoristics, to Koko, then Koko De Rock and now just De Rock. With a boyish chuckle, Chisasa says: “Quite unbelievable that I have had all those monikers. But I think it is all down to my artistic mind talking to me. So I always get to play around with my name. But one thing people do not know that Koko is my real name. The 42-year-old, who is a father to 20-year-old Sandra, values life more than anything else and that is what he says keeps him going. “I am passionate about life. Life is for the living and passion should be part of our life. I like great things in life, mentally, physically and emotionally. I enjoy some good R ‘n’ B music but my time in this business has pushed me to appreciate other genres of music too,” he says. During his stay at MBC the man who has lived most of his life in Chilomoni Township, has worked with some of the greatest names to have graced the airwaves and from each one of them, he says he has learnt a lot from them. “For me it has been great working with a whole bunch of great names in the industry. Some who have left of course. I have learnt new tricks of broadcasting being with them which still resonate today. It has been an honour really,” he says. Next year in January, Chisasa will clock 20 odd years working with MBC, such a rare feat. That long stay has inspired ambitions of having his own brand of a radio station one day that will see a whole different way of how people listen to the radio. He has inspired to a great extent most radio personalities of this generation which look up to him as what it means to be a broadcaster. His workmate for 15 years at MBC Mike Chilimampunga says he still marvels at the level of professionalism that he shows till today. The broadcaster takes his hat off for Wilson B Nkosi of Metro FM in South Africa whom he describes as smooth and fresh.